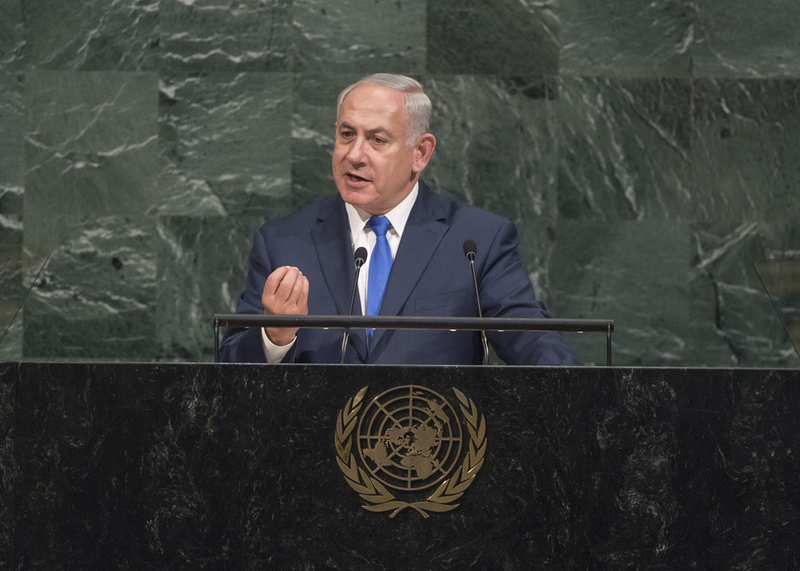 BENJAMIN NETANYAHU, Prime Minister of Israel, said a great revolution was occurring regarding his country’s standing among the community of nations, including what corporations such as Google had known for years. Israel was a leader in technology and possessed exceptional capabilities in fighting terrorism, having provided intelligence that had foiled dozens of terrorist attacks in recent times. “You may not know this, but your Governments do,” he said, underlining that Israel was working hard to keep the world safe. In recent years, dozens of world leaders had visited, including Heads of State from India and the United States. He had travelled to six continents and was the first Israeli Prime Minister to visit Latin America. “The world was embracing Israel and Israel was embracing the world,” he said. However, concerns persisted, he said. Noting the Security Council’s anti-Israel resolution adopted in December 2016 and the World Health Organization’s (WHO) support for a Syrian-sponsored resolution on health conditions, he said there were “no limits to the absurdity” of the United Nations stance on Israel, including that UNESCO had deemed as a Palestinian World Heritage Site parts of Hebron. Despite a repetition of similarly farcical events, there were some signs of change, even at the United Nations. Denying Israel’s right to exist was anti-Semitism, he reiterated, echoing the Secretary‑General’s statement earlier today. The marked change was due in part to the United States, he said, thanking the United States President and Ambassador for “speaking the truth” about Israel. Turning to Iran, he said the United States President’s speech today had rightly called the nuclear deal “an embarrassment”. Pointing out that Iran had vowed to destroy Israel, was conducting a campaign of conquest and developing ballistic missiles to threaten the entire world, he warned that restrictions on Iran’s nuclear programme contained a sunset clause that would automatically remove them. “When that sunset comes, a dark shadow will be cast over the entire Middle East and the world,” he said. If nothing changed, the current deal would follow the same course as that with the Democratic People’s Republic of Korea. The Iran nuclear deal must be changed or cancelled, he said, stressing that Iran should be penalized for all violations, the sunset clause voided and the country’s growing aggression in the region rolled back. Indeed, an “Iranian curtain” was descending across the Middle East, spreading a swath of terror and pledging to extinguish the light of Israel. In a message to Iran, he said the light of Israel would never be extinguished. Those threatening Israel with annihilation had placed themselves in great peril, he added, indicating that his country would prevent Iran from establishing military bases in Syria and from opening new terror fronts against Israel’s northern border. To the people of Iran, he said “you are not our enemy; you are our friend”. Expressing a commitment to advancing and achieving peace with all Arab neighbours, including the Palestinians, he said recent discussions had been held with Egypt and with the United States President on those and related issues. A century ago, the Balfour Declaration had advanced Theodor Herzl’s vision for a homeland, which the United Nations had subsequently recognized. Mr. Herzl was “our modern Moses and his dream has come true,” he said, highlighting Israeli contributions around the world. From providing clean water in Africa to life-saving surgeries in the Middle East, Israel was a rising Power among nations, bringing hope and salvation to the ends of the Earth. Speaking in exercise of the right of reply, the representative of Iran responded to Israel.